Endurance treadmills are well known for having the best warranty in the mid to upper mid-price range category. Nobody else come close to the warranty Endurance is offering, not even some commercial treadmills that are 2 to 3 times more expensive. Endurance is also known for having great customer support to back up their warranty. Add to this the fact that they are very affordable, no wonder a lot of people prefer buying this brand. These treadmills are built for those looking for a lifetime fitness machine. With its long warranty, you’ll surely save yourself a lot of money from future repairs and replacements. Plus, most of them are mid-priced treadmills so most people can afford it. Endurance are being imported by the same company that imports BodySolid. BodySolid has been manufacturing strength training equipment for more than 20 years. They launched in 1981 and now, they are America’s largest supplier of home gyms and strength training equipment. Both BodySolid and Endrance are ISO9000:2000 certified for quality, design, and customer service. This certification is only awarded to companies that live up to the most stringent quality, design and customer support standards, and is recognized worldwide as a sign of excellence. People think that since Endurance comes with such long warranties, their models must be very expensive. But these treadmills are only priced from $1,000-$2,000. And with price tags like that, most people don't see any other reason why not to buy. As mentioned above, Endurance has one of the longest warranty in the treadmill industry. They are offering lifetime warranty for everything except labor (which is covered for 1 year). They cover everything from the motor to every part and every component of the treadmill forever. Although they are offering great warranties, when you compare Endurance to other quality brands in the same price range, you’ll notice that an Endurance treadmill doesn’t really offer much in terms of features and specs. If after reading my recommendation, you would still want to buy Endurance Treadmills. I suggest you get one from Amazon. But before you buy, be sure to first read our individual Endurance reviews below. Others: This is the cheapest treadmill from Endurance this year. Others: This is one of the more expensive Endurance this year. This machine is ideal for light runners. 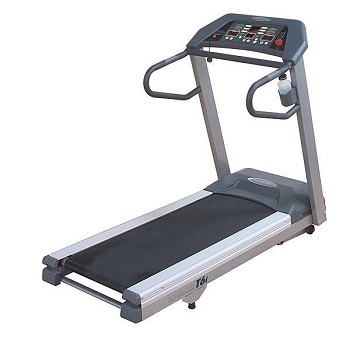 Below are some of the older treadmills from Endurance that have been discontinued. I would keep the reviews here as most of these machines are still being sold by some websites. Others: This was once the cheapest treadmill in the Endurance line. Others: An ordianry treadmill with excellent warranties. Others: Similar to the 8K model above, but came with more built-in programs. Others: This was one of the most expensive treadmills from Endurance during its introduction. Ever Tried an Endurance Treadmill? If you're using or have used an Endurance, chances are visitors of this site would love to hear from you. It's fun, free and easy to do.